Good find, had a £10 voucher ( messed up a order ) so £18, result. I've signed up for checkout smart is it best to have the app on your phone so you can take pics of till receipts ? Heat from me. Can’t understand why vote cold? I understand that for some paying £30 for a bottle of vodka is crazy, when you can get one for a couple of quid. However, for others this can be a real treat. The taste of this stuff is excellent. Can’t get this cheaper anywhere else right so so hot. Why on Earth are people (and I use that word lightly) voting this cold?! This site is about deals i.e how much of discount you can get on a product against it's RRP - both of these vodka's are a bargain at the price / offer shown! Now whether you'd choose another vodka over it, or you feel it's overpriced is not the purpose of the site, this is to demonstrate the saving that can be made against RRP. These numpties are ruining this site - well done for finding OP - heat added! I didn't buy but was it any good? Only a hint of vinegar. No but spend over £55 and it is: "Free Shipping: Makes shipping free for a standard one box order for the UK mainland (normally £5.99). Premium UK delivery areas (Highlands etc), international orders and orders exceeding one box will see a £5.99 deduction from the final shipping cost. Basket spend must exceed £55.00. Multi-box shipping deals are available in England, Wales and parts of Scotland only." Never miss a 'Alcohol' deal again! Yes it's a lovely wine. Better than the Graham Norton Sauv Blanc. This is very nice wine, hot! Why don't you post that Yarra Valley one, then? Rather than commenting on this thread about 'better value buy.' 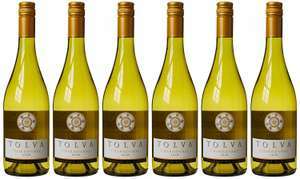 Chardonnay and Sauv Blanc are two different wines so it's a bit silly to compare them. My wife loves the Villa Maria, but if I brought her home 6 bottles of Yarra Valley and told her it represents far 'better value', she wouldn't be overly impressed and they will end up sitting in the cupboard or being given away. Don’t know this one,but nice reduction. Its 7.99 a bottle, can't expect too much from that. It is possible to enjoy decent gin and also like liqueur (confused) when having liqueur have a double measure with your mixer. Gin liqueur..... Not a proper Gin! If its your thing then go for it, but don't expect a proper "Gin" experience from this! Don't rush out it's not that good, the parma violet one that is. Ideal as a gift but for yourself nah especially if you like a good gin. Yes, she wanted to try the unicorn one as she hadn’t tasted the flavour before, if you want to try the non Liqueur version you are looking £30ish for the “Unicorn Tears” brand, but all of the Zymurgorium gin is Liqueur I believe and that is £20ish also and generally quite well received. With regards to the Parma Violet she has tried the J.J Whitely and Whitley Neill Violet gins but as mentioned before she hadn’t tried that one. Nice snobbish quote mind, “LOL” how very constructive and informative! I believe most know the difference between Liqueur and actual gin if they have had a few bottles before. Cheers! Worked for me on 12 bottles of Cremant! I’m not convinced their ale is worth more than £1 a can. It’s OK but not £26 for short dated stuff. Tesco are doing 8 x 500ml cans of Doombar for £9 which I think is a better ale. Atlantic is also a good one but not in cans yet as far as I can see. I don’t think I’d bother with Flavourly at this price. Agreed, I have 2 of the old wooden cages. The plastic ones look really cheap! 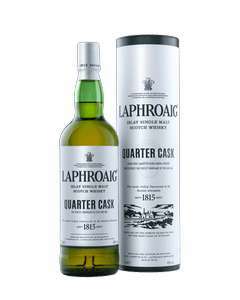 Excellent price for a very decent dram. I can heartily recommend the raspberry. Good find. Left over stock from Christmas was 4.99, now £2, instore in B&M Swansea Parc Tawe. 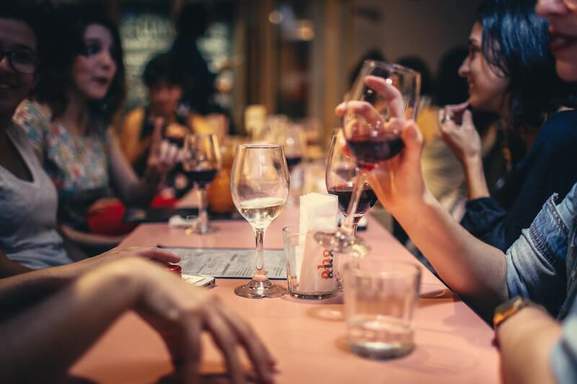 Alcohol is a huge part of social life in the UK, whether we're talking about meeting friends at the local pub or enjoying an intimate glass of wine or two at home. Every year, the average Brit spends hundreds of pounds on alcohol, but are they getting a good deal? Prices of store bought drinks have been falling over the past few decades, but there are still ways to save. That's particularly the case at the high end of the market – for fine wines, liqueurs and imported beers. But you can save money on staples like Carling or Fosters as well. 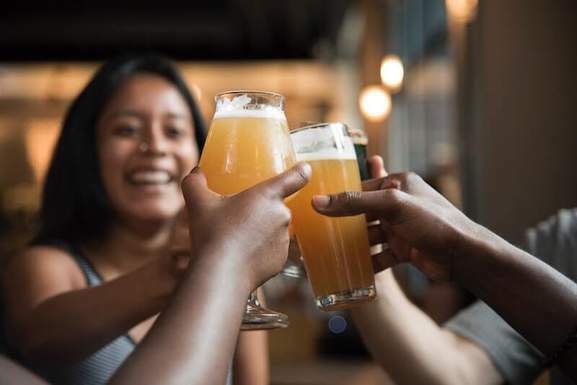 Read on to find out all you need to know about saving money on alcoholic drinks and make socialising cheaper than ever. People have been drinking alcoholic drinks for thousands of years. Almost as soon as agriculture was invented, enterprising farmers realised that the grain they grew could be fermented using yeast and water to create intoxicating brews. And they also soon worked out that these drinks carried much less risk of contracting water-borne diseases. That may be why brewing developed everywhere grains were cultivated. There seems to be a human need to enjoy a drink every now and then. The creation of drinks that we enjoy today was a more recent development, however. While Romans and Greeks drank wine thousands of years ago, the vast range of whites, roses and red (not to mention Champagne and Prosecco) that we enjoy is only a couple of centuries old. Whiskey emerged in its current form around 400 years ago, before being reinvented as Bourbon in Kentucky, while lager dates back a little longer to Germany and Bohemia in the Middle Ages. Drinks like gin and rum developed quickly when Caribbean sugar started to flood global markets in the 1700s, while liqueurs like Cointreau or Chambord started to appear at about the same time. Nowadays, drinkers have more choice than ever. Thanks to regulation, there's a huge range of well labelled, consistent drinks, with tastes and strengths that everyone can enjoy. And there's the problem: with so much choice, picking the right alcoholic drinks can be tricky. Before we start, let's quickly run over what alcohol actually does. When you take a drink, the alcohol in your beer or wine quickly enters your bloodstream, passing to your brain and liver. When it gets to your brain, it gets to work, slowing down your thought processes and loosening your decision making processes, which tends to have a relaxing effect. 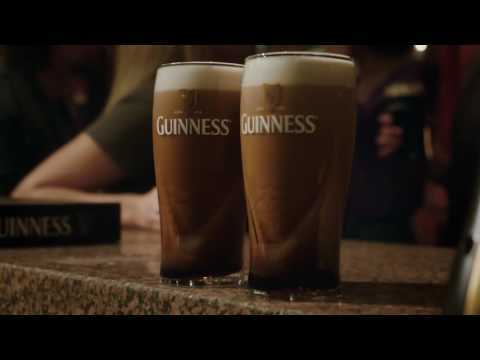 That's why we enjoy drinking – it lets us unwind and forget about our worries. That's fine if you stick to reasonable amounts of alcohol. However, the more you drink, the more severe the effects become. And there are other side effects. Alcohol is seen as a toxin by the body, so it ends up in the liver, which tries to remove it from the bloodstream. The liver converts alcohol to acetaldehyde which is what causes the sensation of a hangover. In theory, the liver should be able to remove all of the alcohol from your blood. If you drink slowly and eat at the same time, it's usually able to do so, preventing you from becoming drunk. However, if your blood alcohol level increases too quickly, your liver struggles to cope and drunkenness is the result. Most of the time, Brits drink sensibly and enjoy the relaxation that a few beers can produce, but it's always handy to remember that there's a fine line between sobriety and being drunk. Lager – Probably the most popular drink in the UK in terms of volume drunk, lagers are fizzy, light and usually not very strong, with a crisp taste. They are almost always intended to be served chilled (making them a fabulous option for hot summer's days), and also tend to be fairly cheap. Most of the lagers you'll find in UK supermarkets are derived from German or Czech brewing methods, and a large chunk will be categorised as Pilsners (named after the Czech city of Plsen). Shop around though. There's a burgeoning craft lager scene, with American and British breweries, as well as plenty of age-old German brews to explore. Ales – More traditional (at least in the UK) than lagers, ales involve the fermentation of malted barley with hops, creating a more full-bodied and darker result than with lagers. Generally bitter to taste (initially), ales come in many different forms. IPAs and APAs are sometimes hard to distinguish from lagers, while stouts and milds are completely different, with thicker consistencies and richer tastes. Some ales need to be served at room temperature and this can make a big difference to the taste, so check the packaging to find out how to serve your chosen brew. Wines – As you probably know wines are produced by fermenting grapes with yeast and come in red, white and rose varieties. Major producers include the USA, Australia, Chile, South Africa, France, Spain and Italy, but there's even a growing UK wine scene, so be sure to check out local vineyards too if you get a chance. If you are buying wine for the long term, always opt for reds, as whites degrade if left too long (while reds actually mature). Whatever type you choose, you'll come across a galaxy of descriptions and tastes, which is why wine tasting sessions are a great idea. Specialist wines – Actually, reds and whites are far from alone. There are also very different grape-derived drinks that are well worth considering. The most famous is Champagne – a rich, crisp fizzy white wine. But there are others too, for instance, dessert wines like Sherry (made in the Spanish city of Jerez) or Port (from Porto in Portugal) make a great complement to home cooking and a fine drink to sip in the evening whatever the occasion. Whiskey – Made from fermented malt and barley, whiskey can take years to mature in oaken barrels. Almost always over 40% alcohol, whiskies are much stronger than the strongest fortified wines and tend to have a peaty, earthy taste (although there's plenty of variety). A drink that it's easy to become obsessed with, Scotch, Irish, and American whiskies are made to be sipped and savoured. Vodka – One of the least calorific of all alcoholic drinks, vodka is transparent and doesn't have a strong taste, but this is deceptive. Again, well over 40% alcohol in most cases, vodka is a serious drink. It's made from distilled grains (usually rice these days) and makes an excellent mixer for cocktails due to its relatively mild taste. Rum – Made from distilled sugar, rum is if anything even stronger than vodka or whiskey. Prestigious brands include Bacardi and Captain Morgan, but even though their drinks are well respected, rum isn't a drink to sip. It is, however, a superb mixer when served with coke and forms the basis of many popular cocktails, so it's handy to have around. Tequila – Now, tequila is different. Created in Mexico, tequila is created by fermenting the leaves of the agave plant and has a completely unique taste. But you don't (or shouldn't) drink it neat. Tequila is designed to be drunk with a slice of lime and a pinch of salt – turning a fairly noxious drink into an absolute delight. No-one knows how the metamorphosis happens, but the results speak for themselves. Gin – Once associated with mother's ruin in 18th century London, Gin (or Geneva) is made from the fermentation of juniper berries with malt, producing a sharp but palatable spirit that can be drunk on its own. In fact, boutique gins are appearing all the time in the UK and the drink is experiencing a renaissance. It's a great time to enjoy gin and tonic, with new brands on the market every month. Brandy – An old favourite in the UK and France, brandy is actually produced by distilling wine. As you might expect, this concentrates the strength, producing spirits which range from 25 to 50% alcohol. There are some cheap supermarket brandies around, but these are mainly suitable for mixing cough remedies. 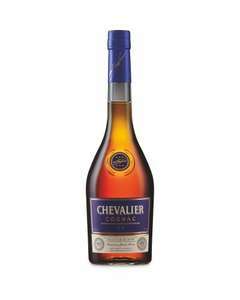 If you want to enjoy the drink itself, go for a prestige brand like Cognac. Dessert liqueurs – Liqueurs are often sweet, usually strong and tend to be seen as a rare treat – something to be wheeled out at Christmas time or birthdays. However, it doesn't have to be like that. 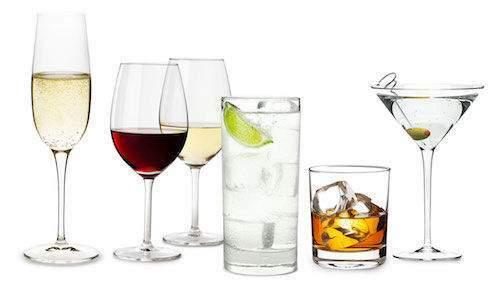 If you are a cocktail fan, having stocks of drinks like Drambuie, blue bols, amaretto, Cointreau, Curacao, and Pernod is a must. Ciders and perries – Another English favourite, but easily neglected these days, ciders are made from fermented mashed apples, while perries are made from pears. They divide into smooth and scrumpy and range from brutally strong to weak and mild. There are some superb deluxe ciders around, including brands like Addlestones, and they make an excellent option for a summer's afternoon. Alcoholic drinks can make fantastic gifts, and there are some great options available. Here are some suggestions if your partner, dad or friends have a taste for fine whiskey or wines. Whiskey gift sets – There are so many exceptional distilleries in the UK and Ireland, and many of them offer gift sets to help fans enjoy their products. Merchants like the Whiskey Shop offer attractive gift boxes from brands like Glenfiddich, Dalmore and Lagavulin featuring a classy bottle and extras like tumblers. Wine vouchers – Wine is one of those things that are universally popular (well, almost) but it's hard to tell exactly which kind to buy. If you are buying for a wine lover, you can buy vouchers for merchants like Majestic which entitle the holder to pick and choose a set of wines for their own gift case – letting them decide their destiny. Prestige vodkas – Most vodka fans stick to Smirnoff or Absolute, which is fine when you are mixing vodka and cokes, but these days there is more to vodka than those famous brands. For instance, French distiller Grey Goose offers some attractive gift packs in metal cylinders that wrap up easily (and more importantly conceal the nature of the gift!). The Good Beer Guide – If you are buying a gift for a beer and pub lover, this year's Good Beer Guide is the ideal choice. With this endless treasure trove of information, they can pick the best real ales and find the perfect country pub to visit. Is Alcohol Classed as a Drug? As we mentioned before, alcohol has a depressive effect on the brain, interfering with the body's motor skills and making it harder to make the right decisions. These neurological effects aren't dissimilar to drugs like cannabis or cocaine, so yes, many experts think that alcohol should be treated like a drug. However, as far as legal classification goes, alcohol isn't classed as a drug, so it's very lightly regulated and not criminalised beyond drink driving and under-age drinking. The government and experts agree that all drinkers should try to stick to certain guidelines. Generally for adults, the limit is placed at 14 units per week. A unit isn't always easy to understand but roughly equates to a small glass of wine or half a pint of beer. A pint of lager contains around 180 calories. A pint of strong ale can contain 250 calories. A small glass of red wine contains 90 calories. A shot of Scotch whisky contains 105 calories. A shot of vodka contains 97 calories. So, if you stick to neat whiskey or vodka, your calorie intake might not be so high (although that's not necessarily advisable for other reasons). A couple of pints or a glass of wine or two won't ruin your diet, though. Binge drinking is another matter. Now we know a bit more about the types of alcohol available and the health issues surrounding alcoholic drinks, how can you save money on the drinks you love? There are a number of tactics that may be worth trying, actually. For example, if you want to buy a decent, cheap wine, purchasing boxes rather than bottles can be a big money saver. Failing that, if you find a wine that you adore, you can usually buy it “by the case” (12 bottles) at much-reduced prices. For beer and spirits, saving money is all about taking advantage of current deals. Supermarkets and online sellers regularly run promotional deals, voucher codes, cashback deals and free delivery deals. Thanks to hotukdeals, it's not hard to keep track of alcohol deals across multiple merchants. There may be other money saving tactics too. 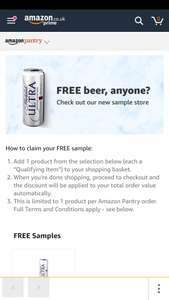 Beer clubs often provide introductory offers, Amazon Prime discounts sometimes stretch to alcohol and you may be surprised by the extent of student discounts too. Alcohol is also the kind of product that supermarkets discount when special occasions approach. Wine deals appear before Valentine's Day and Christmas. Beers are discounted before the World Cup or the summer barbecue season. So shop at the right time of year and you should make big savings. If you have a favourite tipple or you want to explore some new types of drink, hotukdeals is the site to use. From craft beers and cocktail mixers to the finest Islay whiskies and the most accomplished French wines of the season, our listings collect reductions from the UK's biggest alcohol retailers, allowing you to find cheap booze for any occasion.